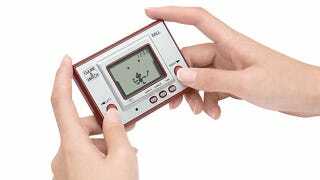 Nintendo's most loyal fans in the United States will be able to get their hands on the company's Ball, the Club Nintendo exclusive re-release of the 1980 Game & Watch portable. It's the latest Club Nintendo reward. Club Nintendo of Japan gave out Game & Watch Ball hardware way back in 2009, a recreation of the decades old handheld. Now it can be yours, U.S. citizens, for just 1200 of those precious Club Nintendo coins.